Elliphant, Live at Bitterzoet, Amsterdam, April 15th, 2016, Photo Credit: Bobo Boom, source: WikiCommons. Ranked by subnormal as one of the Top 10 Best New Artists of Our Time; Elliphant is none other than the lovely Ellinor Miranda Salome Olovsdotter, from Sweden. Having worked with a number of the top DJ / producers in the world including Diplo and Skrillex, Elliphant has also done brilliant collaborations with fellow Swede Tove Lo, and Denmark’s MØ, among others. As one of the most brilliant songwriters of our time, with a stunningly distinct voice unlike any other, Elliphant has created hit after underground hit (and at times–mainstream hit), from the legendary “Spoon Me,” “Look Like You Love it,” “Love me Badder,” “North Star,” “Best People in the World,” “Where is Home,” “Could it Be,” “Down On Life,” “One More” with MØ, “Live till I Die,” “Music Is Life,” “Stardust,” “Ciant Hear It,” “Where is my Mama At,” “Only Getting Younger,” “Revolusion,” “Hit and Run,” “Paint the World,” and many more. The greatness of so many of one artist’s song’s alone is phenomenal, demonstrating the brilliance of Elliphant’s songwriting ability. 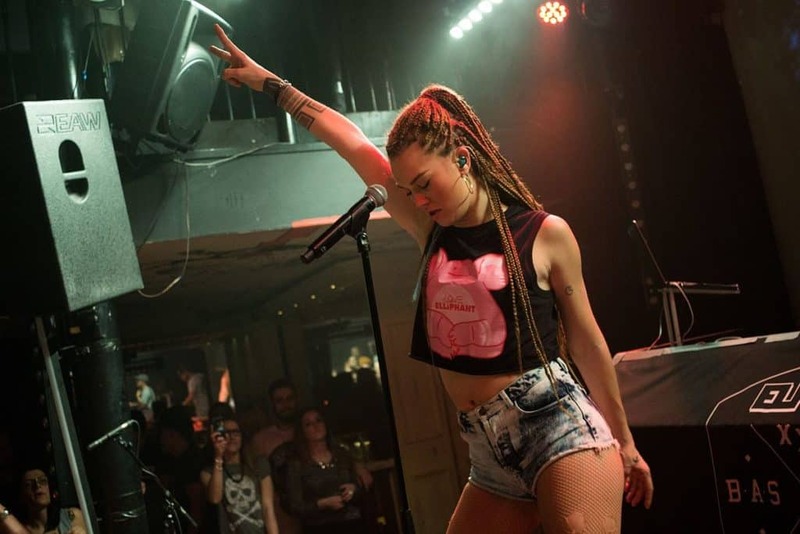 Combined with her musical production employed, and her dynamic, great voice that ranges from a jazzy, soulful pop, to a melodic rap or reggae beat, lends itself to making Elliphant in a class and league all her own. With influences of punk, rock, pop, new wave, rap, trap, EDM, techno, house, breakbeat, reggae, grime, and more, Elliphant’s talent is undeniable, and her originality like few of our time; a brilliant and legendary artist of sheer greatness.